The impressive castle ruin is located near St. Pankraz on a wooded hilltop. Today, it can’t be visited, but due to the idyllic backdrop it is one of the most popular photo motives in the vicinity and a landmark of Ulten. 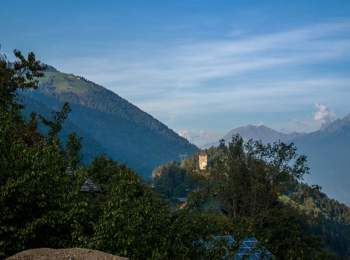 The castle – or rather the rest of it – is enthroned on a high ground about 2 kilometers from St. Pankraz, right there, where the rivers Hagenbach and Falschauer flow together. 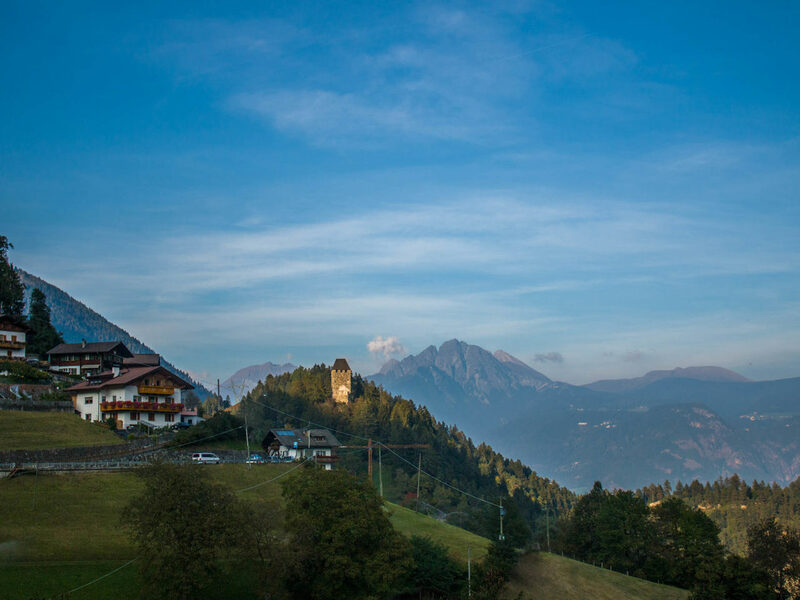 Its name was given by the Eschenloher family, which once governed the valley of Ulten. Their name in turn derives from the word “Loach” that means deciduous forest. 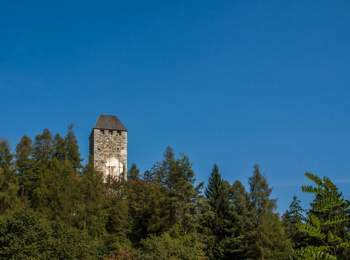 In 1163 Eschenlohe Castle was mentioned for the first time as Ulten Castle and for many years it was the domicile for the local earls. Later it was owned by the Counts of Trapp. Their descendants still possess the castle, but they don’t live their anymore. So the ravages of time gnawed on the walls, so that there are preserved only sections of the castle walls, parts of an outbuilding and the mighty donjon. As already mentioned before the ruins of Eschenlohe Castle can’t be entered, but of course you can look at them from the outside. In particular we recommend you to go on a hike from St. Pankraz to the castle hill.